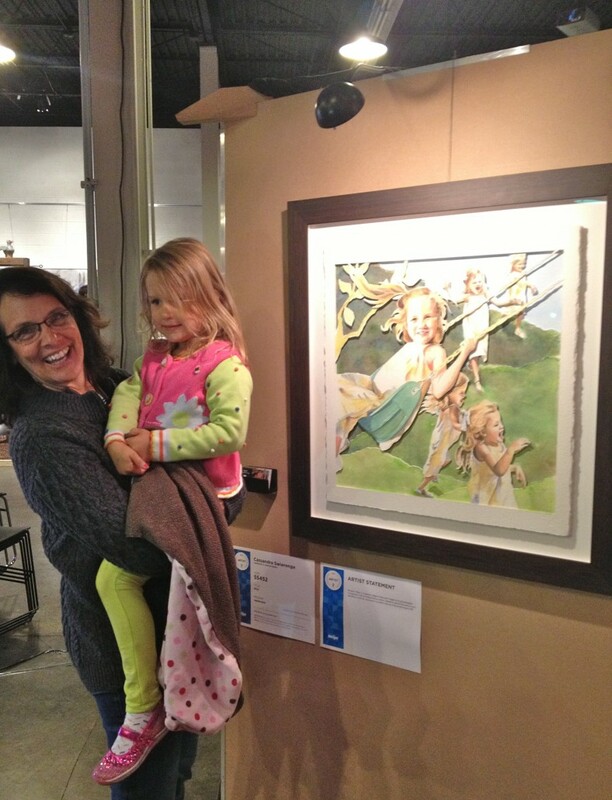 Exhibited at Monroe Community Church, Artprize, with my granddaughter, who was my inspiration. AVAILBILITY This piece is SOLD. Giclees are not available. 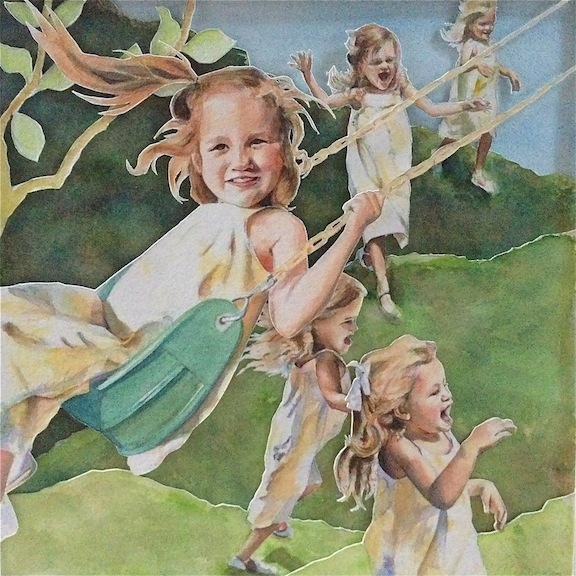 “Bliss” is a layered collage of watercolor images of my granddaughter enjoying the exuberance of playing outside. When my husbands mother was living, we would celebrate Mothers Day by driving to Carriage Greens Country Club to enjoy a sumptuous buffet with the family . We continued the tradition after she was gone in her remembrance , and now we celebrate with our children and grandchildren. A few years ago my granddaughter delighted us with running up and down a small grassy hill found just outside the club building, just loving life with no cares in the world. It stuck with me, her contagious joy and I planned and created this piece to reflect that feeling. This piece is six separately painted watercolors on 400 lb watercolor paper that were subsequently trimmed with an X-acto knife to cut off the unwanted portion of each piece to reveal the layer underneath. Once each image was painted and trimmed I layered them on top of each other to produce the final effect.